Dr Theresa Scott is a Psychologist whose research focuses on older adults and Geropsychology. She holds an NHMRC-ARC Dementia Research Development Fellowship and has experience in research on functional outcomes for persons with dementia in communities and residential aged care. Theresa's NHMRC-ARC Dementia Research Development Fellowship focuses on the complex issues around dementia and driving. The aim of this research program is to translate a comprehensive support- and education-based driving cessation intervention for people with dementia and their carers, into clinical practice. The results of this research will enhance understanding of the issues for health professionals who monitor driving cessation in primary care settings; and inform the most effective strategies for primary care delivery of the intervention in metropolitan and regional areas. Theresa is skilled in both qualitative and quantitative methods of research design and analyses, and in evaluation research. 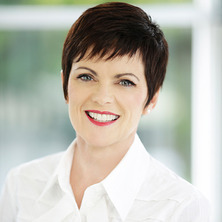 Her research to date has focused on ageing well programs, psychosocial interventions that support people with dementia and their carers, social and therapeutic horticulture to combat loneliness and depression for older people, clinical psychology postgraduate training and continuing professional development programs. Additional research interests include evidence-based complementary and expressive therapies for older adults; psychosocial interventions in long-term care environments; and attitudes to ageing and self-stereotypes. Twillight or dimlight? Attitudes towards residential aged care and implementation of an learning integrated intervention designed to shift attitudes. Scott, Theresa L. and Pachana, Nancy A. (2016). Therapeutic gardens and expressive therapies. In Complementary, alternative, and integrative interventions for mental health and aging: research and practice (pp. 529-546) New York , NY, United States: Oxford Univerisity Press. Scott, Theresa L. and Darlington, Yvonne (2011) Negotiating and planning an evaluation: An example from a youth services Work for the Dole program activity. Evaluation Journal of Australasia, 11 1: 11-19. Walker, N., Barlow, F., Reutas, J., Scott, T., Pachana, N. and Dissanayaka, N. (2018). Residential aged care: industry and education taking a contact theory approach. In: NNIDR Australian Dementia Forum, Sydney, Australia, (). 4-5 June 2018. Walker, N., Scott, T., Barlow, F. K., Pachana, N. A. and Dissanayaka, N. N. W. (2018). The Good Neighbour Program: An innovative social support/educational integrated intervention in residential aged-care. In: International Dementia Conference: Mission Impossible - Truth and Lies in the Age of Choice, Sydney, Australia, (). 7-8 June 2018. Walker, N., Scott, T., Barlow, F. K., Pachana, N. A. and Dissanayaka, N. N. W. (2017). The Good Neighbour Program: An innovative social support/educational integrated intervention in residential aged-care. In: Psychology & Ageing Interest Group National Conference - Empowering older adults through psychology, Brisbane, Australia, (). 6-7 October 2017. Pachana, N. A., Cody, A., Bakharia, A. and Scott, T. (2012). Raising awareness at the undergraduate level: facilitating engagement and reflection on nursing homes. In: Charting new frontiers in aging. Abstracts of the Gerontological Society of America 65th Annual Scientific Meeting. 65th Annual Scientific Meeting “Charting New Frontiers in Aging”, San Diego, CA, United States, (466-466). 14-18 November 2012. Scott, T. and Pachana, N. (2007). Therapeutic gardens in residential care facilities. In: 2nd APS Psychology and Ageing Interest Group Conference. 2nd APS Psychology and Ageing Interest Group Conference, Geelong, Vic., Australia, (372-372). 13 November 2007. Scott, Theresa Lorraine (2012). Examining the therapeutic effect of gardens and gardening activities for older adults residing in the community and in aged-care facilities PhD Thesis, School of Psychology, The University of Queensland.